Could Terror Suspect Have Had Outside Help? Could Umar Farouk Abdulmutallab have had help getting on board the flight from Amsterdam to Detroit? According to two American passengers on flight 253, an older man accompanied the young Nigerian to a counter before boarding. One of those passengers, Kurt Haskell of Taylor, Mich., shares what he saw. Could Umar Farouk Abdulmutallab have had help getting on board the flight from Amsterdam to Detroit? According to two American passengers on flight 253, an older man accompanied the young Nigerian to a counter before boarding. One of those passengers, Kurt Haskell of Taylor, Mich., shares what he saw. Did someone help Umar Farouk Abdulmutallab get onboard the flight from Amsterdam to Detroit? Well, according to two American passengers on Flight 253, an older man - tall and elegantly dressed - accompanied the young Nigerian to a counter before boarding. And they say the older man explained to a woman at the counter that the younger man had no passport. Kurt and Lori Haskell were on their way back from a safari vacation in East Africa. They're in law practice together in Taylor, Michigan. And Mr. Haskell joins us now from there. Kurt Haskell, when and where did you see these two men together? Mr. KURT HASKELL (Attorney): I saw them just before we boarded at the Amsterdam airport near the final ticket agent. SIEGEL: And the younger man, the Nigerian man, you later recognized at the end of this entire thing in Detroit? Mr. HASKELL: Right. He was the one that tried to blow up our plane a few hours later. SIEGEL: And who is the older man or what did he look like? Mr. HASKELL: Well, nobody knows who he is. He was a wealthy-looking Indian man, maybe around age 50. He had a suit on. And, you know, he's the one that tried to get the terrorist onto the plane without a passport. Mr. HASKELL: Well, what I saw specifically was the two men go to the ticket agent counter together. Only the Indian man spoke and what the Indian man said was this man needs to board the plane and he doesn't have a passport. And the ticket agent then responded, well, you need a passport to board the plane. And the Indian man said, well, he's from Sudan and we do this all the time. And the ticket agent then responded, well, you'll need to speak to my manager and pointed the two down a hallway to speak to her manager. SIEGEL: Now, did this older man, did he appear to work for the airport or the airline or security? Did he have any badge on him identifying himself? Mr. HASKELL: I can't say 100 percent for sure. But to me, he didn't appear that way. He appeared to be maybe trying to bully the ticket agent into letting this man on. And it seemed he was more some kind of authority figure to the terrorist. SIEGEL: You saw the young - as it turned out - not Sudanese, but Nigerian man at the end of all this when he was taken off the plane, I guess. SIEGEL: Did you see the older man, the man you described as an apparently well-to-do Indian man later? Mr. HASKELL: No, I never saw him again. He was not on our plane. SIEGEL: The point where you were in the airport, could one have gotten there without a passport? Did you have to show your passport when you change planes, say, from East Africa? Mr. HASKELL: Yes, we did. Yes, we did. SIEGEL: So, did it make sense to you that somebody could have been at the counter without having demonstrated he had a passport already? Mr. HASKELL: If all procedures were correctly followed, he shouldn't have been there. But I really question whether they were or not. SIEGEL: You don't know if this older man was in cahoots with the younger man or whether he'd been brought into it by the younger man to get him on the plane. Mr. HASKELL: It appeared to me they were, you know, together. SIEGEL: It looked like they were together, huh? SIEGEL: Now, I had the impression that all of you, all the passengers from Flight 253 were - you were essentially sequestered in Detroit when the plane landed. SIEGEL: Were you questioned about this? Did you tell the FBI about this? Mr. HASKELL: Yes, I was, and I did tell them. SIEGEL: You're not a complete stranger to federal law enforcement. Mr. HASKELL: That's correct. I worked in the federal government for six years. Mr. HASKELL: It was the same guy. Mr. HASKELL: Mm-hmm. There were very few black men or black people at all on this flight. And he's a rather different-looking person, so it was pretty obvious to me. SIEGEL: Did you get the impression that anybody else who'd been about to board this flight got wind of this exchange that you heard? Mr. HASKELL: No. I don't think anyone was paying attention and it was really a non-event. To me it was just two men that looked strange together and nothing else. SIEGEL: Well, Mr. Haskell, thank you very much for talking with us. SIEGEL: Kurt Haskell is a lawyer who works out of Taylor, Michigan. He was a passenger on Flight 253, and he recalls seeing the man later identified as Umar Farouk Abdulmutallab with another older man as he was trying to board the plane. Law enforcement sources tell NPR that they are aware of Mr. Haskell's account and have yet to identify a second man at the counter. And they say at this point they believe Abdulmutallab had no accomplices. Umar Farouk Abdulmutallab, 23, has been charged in federal court with trying to detonate an explosive device on a Dec. 25 flight from Amsterdam to Detroit. The family of the 23-year-old Nigerian man held after a failed Christmas Day attempt to set off an explosive device on a plane en route to Detroit issued its first formal statement Monday, describing Umar Farouk Abdulmutallab's recent behavior as entirely out of character. But his father had previously warned the Nigerian, Saudi Arabian and U.S. authorities about his son's increasingly radical views. 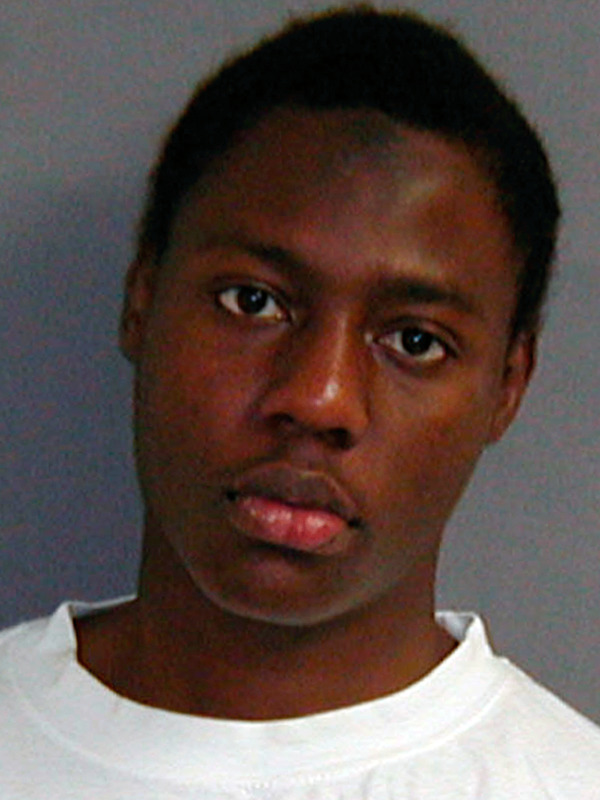 By all accounts, Abdulmutallab is a well-educated, devout Muslim from a wealthy northern Nigerian family. He graduated last year from the prestigious University College London, where he studied mechanical engineering. He had gone on to study in Dubai, then told his family he was going to Yemen. His father, Umaru Abdulmutallab, a prominent Nigerian banker, became concerned about two months ago, when his son abruptly broke off contact with the family. The father alerted local and foreign security agencies, as well as the U.S. Embassy in Nigeria. Information Minister Dora Akunyili told a news conference that Abdulmutallab's family was shocked to hear his name linked to the Christmas Day attempt to blow up a Northwest flight that took off from Amsterdam. "The father — Alhaji Umaru Mutallab --- who is a responsible and respected Nigerian, has already expressed deep shock and regret over his son's action," Akunyili said. "We want to reiterate that Nigeria as a nation abhors all forms of terrorism. Nigerian security agencies are working hand in hand with international security agencies on this matter." In its statement today, Abdulmutallab's family said that before cutting ties, the suspect had never displayed any behavior to give them concern. Mike Rimmer, his history teacher for three years at the exclusive British School of Lome in the west African nation of Togo, said he couldn't believe his ears when he heard the news. "I was absolutely shocked," Rimmer said. "I was expecting great things from Umar. I certainly wasn't expecting this. He was a great lad. He was a model student — very keen, very enthusiastic." Rimmer told the BBC that it hadn't occurred to him then, but perhaps there were early signs that he had missed. "He was always very religious and some of the things he said were over the top," Rimmer recalled. "For example, in 2001 we had a number of class discussions about the Taliban. All the other Muslim kids in the class thought they were a bunch of nutters. But Umar spoke in their defense. I thought maybe he was playing devil's advocate, trying to keep the class discussion going." Efemena Mokedi, a high school classmate of Abdulmutallab's, told the BBC he was astonished to hear about his friend, whom he described as "a very friendly person." "You know, we played on the same basketball team growing up," Mokedi said. "He was a very devoted, religious person. He was an honest person. So the numbers do not add up."